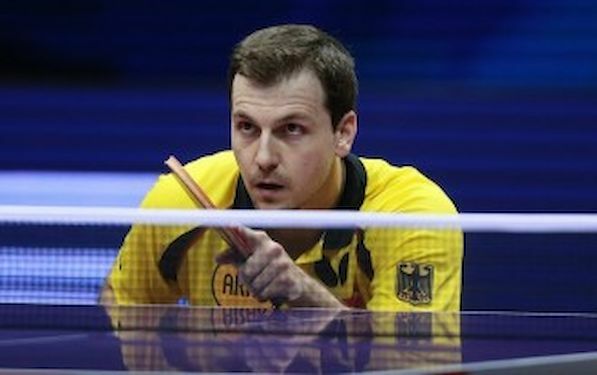 Timo BOLL, the winner of the bronze medal in Men’s Singles Event at the World Championships 2011 in Rotterdam, despite brilliant performance failed to repeat the success at the QOROS 2015 World Table Tennis Championships. “Against Chinese players you just had to be better. It is just like that. Chinese players force you to give the best you have. I have doubts I could play much better then I played today. I had chances in two opening games, had few nets, edges…maybe I am missing a little bit of luck sometimes,” said BOLL. Despite Patrick FRANZISKA’S brave effort, World’s no. 14 FANG Bo made his way to the medal rostrum tomorrow. Player from Germany, currently placed at position no. 56, lost 1:4 (5:11,9:11,11:8,5:11,5:11). “I was two games in reverse in previous round against KOU Lei, so I was not afraid when Bo made advantage. The tactics remained the same; I kept on fighting. Already at the closing stage of the second game I played very good and I started to adjust to his rhythm. However, I missed ball at 9:9, to easy,” said FRANZISKA.